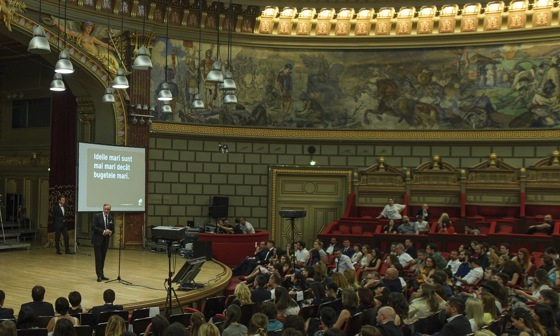 The winners of the 12th annual Effie Awards Romania were awarded on the 2nd of June at the Romanian Athenaeum. At the awards ceremony, 26 trophies, including 1 Grand Effie, 4 Gold trophies, 9 Silver and 12 Bronze were presented. The Grand Effie was awarded to the “Purity Test” campaign – Aqua Carpatica (Valvis Holding), made by Cohn and Jansen JWT. The agency won another 3 awards: Gold in the Non-alcoholic Beverages category and Bronze in Brand Experience for Aqua Carpatica – “Purity Test” and Silver also in the Non-alcoholic Beverages category, for Jacobs 3ȋn1 – for ‘”Full-job passion”.